Blake Evitt discusses the importance of partnering with your community, creating multigenerational spaces for training, as well as how he does that in his hometown of Boston. He unpacks the influence that traveling had on his training, coaching, and business, as well as his own personal growth. 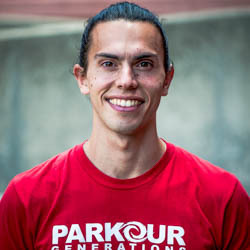 Blake shares his thoughts on a number of subjects, including becoming vegetarian, the ADAPT coaching qualifications, and the United States Parkour Association.